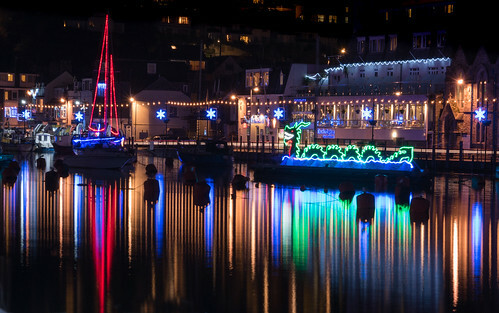 Please note that high tide in Looe on 10th December is approx 7-17pm. Also the meeting time at The Harbour Moon Inn has been changed to 6-45pm. An updated Field Trip information sheet has been issued. See here. November Newsletter (Edition 5) now available. Click on large Blue / Yellow "Latest Newsletter" button at top of page to read latest version. An archive of previous editions of the newsletter has been set up on the Photography Documents page of the website. Activity Calendar updated. Click on large Blue / Yellow button at top of page to read latest version. Edition Number 4 of the photography Group Newsletter may be read via this link. The Activity Calendar was updated at the end of October. It may be viewed via the large blue button at the top of this page. Field Trip info for Bodmin and Wenford Railway visit on 30th December 2018 now available here. Field Trip Information sheet for 22nd November now available. The ballot for workshops from November 2018 to May 2019 is now closed. 17 members placed bids for various workshops. The results are now available via the blue button above labelled "Workshop Bookings". We are pleased that everybody was able to have their first choice, and indeed most people also got their second choice workshop if they selected one. Where people indicated a third choice they have been listed as a reserve. The only change we have made is to combine the North and West Cornwall Ross Hoddinott days. We have chosen Monday 25th March as the May date on offer was only one week before the Victoria Hillman day. We will ask Ross to devise a North West Cornwall itinerary to please all the participants!! PLEASE CHECK WHICH WORKSHOPS YOUR NAME IS SHOWN AGAINST. IF THERE ARE ANY ERRORS, OR YOU DO NOT WISH TO BE A RESERVE, PLEASE EMAIL LINDSAY ASAP. 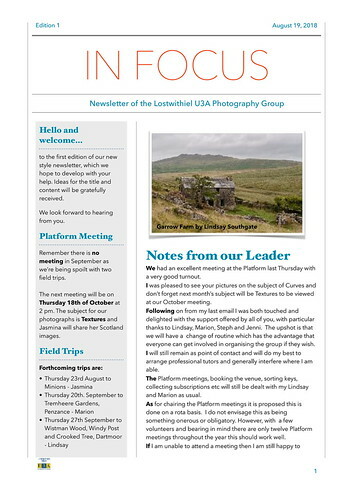 The Third edition of the Photography Group Newsletter is now available to read via this link. The activity calendar has been updated, either click here or click the large blue button at the top of this page. Also a reminder that as well as details in the newsletter, there is an information sheet for the field trip to Powderham Castle available from the 21st September update. The ballot process has closed for this workshop and the attendees are listed on the Workshop Bookings tab above. There are spaces left on this workshop so please email Lindsay if you would like to attend. 11.30am – 12.45pm Lunch stop at Barnecutts/drive to Park Head car park. Based on 6 participants the cost will be £25 each. Firstly thank you for all the comments about the new format, ideas and offers of help. More will be gratefully received. Also thanks to Jenni and Jasmina who are the workshop and field trip report pathfinders. The Latest Newsletter contains a link to a Google questionnaire that asks for expressions of interest for a large number of workshops with other photographers that, with your support, could be part of our programme in the coming months. I know Peter is keen to confirm them and offer our normal booking system as soon as possible. I have tested all the links so fingers crossed they work for you. Visit to this site included in our Field Trip on 27th September. Also attached are the field trip sheets for Tremenheere on the 20th and Dartmoor on the 27th September as well as an updated activity sheet. Here is the first attempt at a different style newsletter for our group. it is very much an experiment and so I will appreciate your feedback including ideas about the name and content. It is important that you find it useful and informative. Thanks to Lindsay for the photo and Jane for giving the top tip. Also attached is an update activities calendar, again in a new style. Peter explains in the newsletter, that at the Platform meeting, it was agreed to spread the administrative load by sharing the chairing of the Platform meetings and the organisation of field trips. You will see from the calendar there are more than a few gaps for you to fill. We have enough members to make this a two yearly event for each of us. The location of the field trip can wait, all you are making is a committent to lead one. I attach the latest programme that runs through much of next year and as you will see there are plenty of gaps to fill in. As for special trips I have already spoken to David Chapman who is quite busy next year but has fitted us in for a day in February with possibly more later. I am pleased to say Victoria Hillman has agreed to give us a day on the levels again next year. I have also contacted Ross Hoddinott and Carla Reglar and will let you know when they might be able to help us. There are other new faces I am considering so hopefully I will be able to keep up with your request of a professional per month. I hope we can also continue our separate RPS group. I had asked for expression of interest in a day with Mark Bauer but only had three responses so will perhaps try again next year. There are other things in the pipeline and Peter Tandy has said he will organise another winter steam up at Bodmin and Wenford Railway and I am also investigating the possibility of a portrait session. I thought I would send this message out before our next platform meeting as a starting point for a discussion about future plans. In the meantime, here is the programme as a word document with plenty of blanks for you to fill in and return. Our next field trip is on Thursday 23rdAugust to Minions kindly organised by Jasmina and I attach the field trip sheet and a map she has produced. I look forward to seeing you all at the next Platform meeting when we can see your recent photos including this month’s subject ‘Curves.’ Either ‘Straight Lines’ or ‘Textures’ has been suggested for next month’s subject. We had a great day with Victoria Hillman on Somerset Levels this week. She is very knowledgeable and helpful and I believe everyone enjoyed our time with her. I have made a very provisional booking for us to see her again in May/June next year when there should be a lot more to see such as the Dragonfly roost. Here is a photograph taken by Caroline. I’m sorry I could not make last week’s Platform meeting and thanks to Marion for taking over. I’d left a few questions regarding future trips etc, particularly after the low turnout for Dave Thomas. 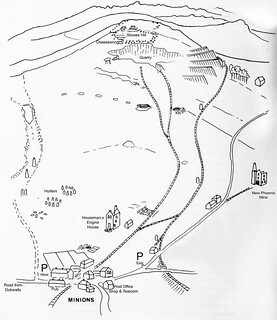 I note the comments that perhaps there were too many trips in June/July and weather-wise, the Dave Thomas trip was very hot for a day on the moors and may have been physically demanding. We take a chance on weather though and prepare to suit but point taken. There was also concern over the length of some trips so if possible, I will try and limit the time out but this will to some extent depend on the professional leading the day and I will always try and give warning of times so you can make the choice. Ordinary field trips are of course up to you and indeed, there is no reason why you should not organise trips yourselves – I will always gratefully receive additions to the programme. It has been suggested we have 3 meetings per month, our usual Platform third Thursday and fourth Thursday field trip plus a monthly workshop with a professional. I will see how I can best organise this. I have now completed the calendar for this year and this includes Wistmans Wood on Dartmoor in September, Luxulyan for autumn colours in November and night photography in December. There may be one or two bonus events but at present no professional tuition after August. The programme is starting to look a bit thin so if anyone has a particular request please let me know. For example, Mark Bauer said he could give us a day in October but there wasn’t enough interest the last time I booked him but if you feel this is a possibility please let me know and I will try again if there is enough demand. I had wondered about resurrecting a monthly theme for our platform meetings and gather this is welcome. The first of these will be ‘Curves’ so get out there and use your imagination. I look forward to seeing your photos at the August Platform meeting. I am also looking for suggestions for 2019 field trips. For example, Screech Owl centre has been suggested. Our group is equally open to anyone whether you are a knowledgeable and skilled photographer or someone who has just bought a camera and hasn’t a clue what to do with it, or someone who simply wishes to enjoy photography without strings. Despite my many years in photography, I’ve learnt a lot from other members in our group – we all have something to give each other. Back in the early 70s I was working in Bracknell and a colleague, knowing I was interested in photography suggested I went along to see the Bracknell Camera Club annual exhibition. The photographs quite frankly knocked me out – I thought they were amazing and still remember some of them. I felt I could never achieve such results. 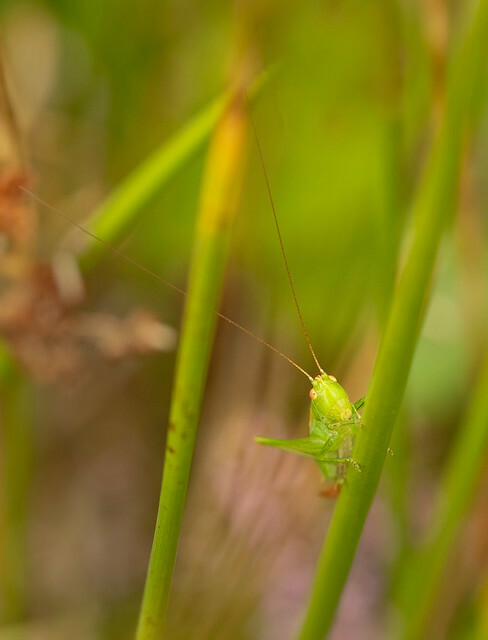 However, I did eventually join the club with my very basic camera and with help from two particular members progressed. I was always grateful to them for the inspiration and example they gave me because it helped me fulfil a lifetime of photography and I have never forgotten them. All the camera clubs I belonged to revolved around regular competitions and in those years, I had some photos praised and some rubbished – which hurt at the time. We do not do competitions and in our group and I believe we all give each other constructive criticism and assistance to progress. I look forward to seeing you all along with your photos on 16thAugust for our 2.15 Platform meeting. This should be a good day and I will send out details nearer the time. I don’t see this as a limited numbers event. Our days with Andrew Ray and Victoria Hillman are now fully booked but unfortunately there were not enough takers for the Mark Bauer day. Maybe I misled you in mentioning that Mark was a Fuji convert but he has full DSLR skills as well so don’t be put off. I will investigate another day with him later when people are perhaps less busy. Our next platform meeting is the usual third Thursday at 2pm – 21stJune. Our next field trip will be to Buckfast Butterfly Farm and South Devon Railway on Thursday 28thJune – details attached. Lindsay is preparing a self help sheet of contacts. Don't forget to respond to her questionnaire if you have any suggestions. Thanks to those who expressed interest in the next series of tutored workshops which Peter has kindly set up. I am pleased to say that for the Victoria Hillman and Andrew Ray workshops everybody has their first choice. The level of interest for the Mark Bauer trip was, however, not sufficient. Peter has decided to postpone that trip to a future date when other members of the group may not be as busy, and we will be able to run a full workshop. I have updated the Workshop Bookings spreadsheet which you access via the 3rd blue button above so please do have a look and put those dates in your diary!! If you have any questions or comments as to the process please do let me know. First of all a reminder from Lynda that she still has some spaces for her Water Photography day on 30thMay. If this is of interest please get in touch with her. Details are attached. The List of Field Trips has been updated. (Click on large Blue / Yellow button at top of page.) and you will see I have arranged three new days. Lindsay will invite your interest in these through the website in the usual way soon. 30thJuly – Victoria Hillman – Somerset Levels. She is very familiar with the levels and I am sure this will be a fantastic day. 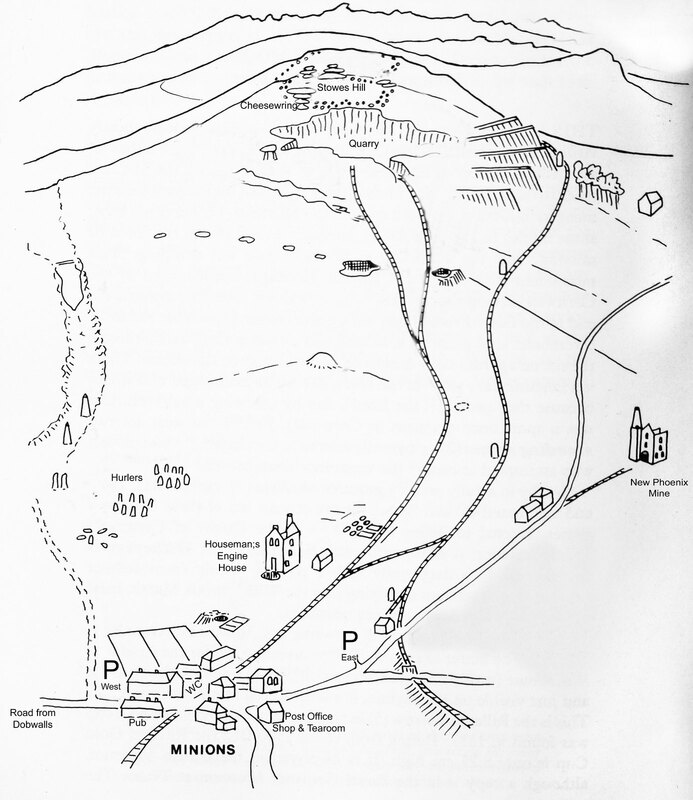 20thAugust – Andrew Ray – Mining heritage. 10thSeptember – Mark Bauer – West Dorset. Mark works with Ross Hoddinott on publications etc. and will be taking us to areas in West Dorset he knows we have not been before. Mark is also a Fuji convert so this trip could be of particular interest to us Fuji users. More details on these will follow along with details of how to register your interest. Our next field trip will be to Buckfast Butterfly Farm and South Devon Railway on Thursday 28thJune – details to follow soon. I hope the trips I have arranged are of interest and watch this space for more information. I would also like to congratulate Jennie M. Unfortunately and very much to my surprise, her superb panel did not quite make it with just one picture being criticised. Just shows how difficult LRPS assessment is these days. She has been invited to resubmit with adjustments to the single photograph or a replacement so I am sure she will be successful next time. As some of you are aware we have an occasional small group meeting at Lanlivery Cottage for those interested in going for RPS distinctions. This has proved a useful event and for regular attendees I have put Monday 4th June at 6pm in my diary for our next meeting. If anyone else is interested in pursuing distinctions you will be welcome to come along. Our next Platform meeting will be at 2pm on Thursday 17th May so please bring along your photos, particularly from recent trips. There is a change of plan for our field trip on Thursday 24th May. Lukesland is closed that day so Lindsay has suggested Castle Drogo and a field trip sheet may be viewed here. On Thursday 31st May Lynda has invited us to her house for some water photography. Details to follow soon. There are various outings with David Chapman, Ross Hoddinott and Andrew Ray but these are fully booked. However, I am looking to organise more events but I am sure there is plenty to keep you busy for now. You may remember I mentioned Victoria Hillman and showed you her book at a recent platform meeting. I have been in touch with her and she is happy yo provide us with a full day workshop for six participants. The cost will be £50 each plus her travelling costs depending where we meet. Her home territory is near Frome so it may be best to meet somewhere between. For the moment, I am looking for expressions of interest from you before I make a booking so please let me know if this looks good to you. Once I have organised something, it will go onto the website for selection in the usual way. Here is a link to Victoria's website. Our next Platform Meeting is this coming Thursday at 2 pm so please bring along any photographs you would like to show. In particular those from the recent field trips with Ross Hoddinott and David Chapman would be very welcome. I gather these field trips were very enjoyable and I will be arranging similar events in due course. Our next Field Trip is to Dingles Fairground near Tavistock and this is kindly arranged by Lindsay. A Field Trip sheet is attached but please ignore the incorrect date at the top - it is Thursday 26thApril that we meet there. The List of Field Trips, accessible via the large blue and yellow button at the top of this page, has been updated. There are still a few spaces to be filled so if anyone has ideas for suggestions please let me know. A space has become available on the Ross Hoddinott trip on 16thMay so if you would like to take this opportunity please contact either myself or Lindsay. There is now space available on the next Ross Hoddinott trip this coming Monday 26th March. If you are interested please contact me. An excellent afternoon at the Platform and thanks to Lindsay for her talk on The Lofoten Islands. I will be looking into more trips but did suggest some evenings out now that the days are getting longer and hopefully warmer. I will let you know more soon but please get in touch if you have any ideas. I had also put forward the idea of a long trip to Northumberland perhaps over 5 to 7 days. If you think this of interest let me know and I will investigate further for accommodation, costings etc. I go there most years but as the area is growing in popularity accommodation requires much earlier booking so will need some long term planning. Our next Platform meeting is this coming Thursday 15th March. Lindsay is going to tell us about her recent trip to the Lofoten Islands along with some great photographs. Also please bring some of your own photos to share. Our next field trip is to Trewithen Gardens on 22nd March arranged by Lindsay and a field trip sheet is attached. Don't forget there is a trip to Hayle Estuary with the Bird Watching group on 14th March - details on the U3A website. There are several limited number trips coming up but because of rearrangements/cancellations, there is space available and I would strongly recommend this to newer members. On Monday 26th March there is a space on the Ross Hodinott trip to North Cornwall Coast. This was rearranged from 9th March due to bad weather. The list of field trips has been updated - click on blue and yellow button at top of page. I look forward to seeing you at the next Platform meeting. I gather you had a good sunny day at Bude and Northcott and thanks to Steph for arranging this. I look forward to seeing your photographs at the next Platform meeting. There are two days with Ross Hoddinott coming up. The 7th March trip is fully booked but there are possibly two spaces available on the 9th March trip. If you are interested in this please let me know as soon as possible. On Wednesday 14th March, the Bird Watching group are going to Hayle Estuary and I am sure they won't mind if we tag along. Details are on the Bird Watching page on the U3A website. Our next Platform meeting is on Thursday 15th March and Lindsay has kindly offered to tell us about her recent trip to the Lofoten Islands. I have seen one or two of the photographs and will be looking forward to seeing more. Our March field trip on Thursday 22nd is to Trewithen Gardens arranged by Lindsay and a field trip sheet will follow soon. Looking ahead, the Tremenheer Gardens trip in September has been moved to the third Thursday (20th) in lieu of a Platform meeting so there may be a bonus field trip on the 27th. The list of forthcoming field trips, accessible via the large Blue and Yellow button at the top of this page, has been updated. I hope you are enjoying taking photographs in the snow. A very good meeting at the Platform last Thursday and a special thanks to Nick for bringing along the schools photography competition shortlisted photos. Also those of you who brought your own photos. I gather the group who went to spend a day with Tony Worobiec in Dorset had a good time. It is likely I will arrange another day with him in due course so please let me know if this might be of interest. Our next field trip is to Bude, organised with thanks to Steph and a field trip sheet is attached. I look forward to seeing you all there. I also attach a an updated list of field trips detailing future events. The ballot for the Andrew Ray workshop on May 10th is complete and those successful have been listed in the Field Trip Bookings sheet available from the middle blue button above. If anybody would like to add their name as a reserve please let Lindsay know and she will add you to the list. A good attendance for our first meeting of 2018 at the Platform last Thursday and thanks to everyone for bringing along their photographs. First of all I have arranged a day out with Andrew Ray, a professional landscape and wildlife photographer. This is booked for Thursday 10th May and will be a landscape workshop with emphasis on spring flowers. Information about the ballot for these 6 places has been sent to Photography Group members. 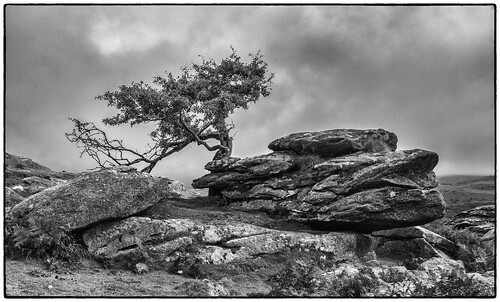 You may remember I mentioned a day with David Noton, one of our top landscape photographers. I had a reasonable response but the cost of this will be £150 or more per person plus accommodation. If you are still interested or would like to know more please get in touch before I give David a yes or no. It is a great opportunity. I have provisionally arranged a day on Bodmin Moor in early June with Dave Thomas of Cornwall Wildlife Trust and will let you know more later. Lynda has kindly offered us a workshop at her house on 31st May photographing water and patterns. You can see some of her work on this subject on the group Flikr page. She has also offered to lead our 26th July field trip, the venue being Cotehele. Our October trip will be to Powderham Castle to see the house and deer. There are deer rut safaris on 5th, 11th & 18th October so these could be alternative dates but will need advance booking so I will make enquiries. If you are interested in the safaris let me know ASAP so I can have an idea of numbers. I believe the cost of the safari is £13.50 per person and I guess it will have to be paid in advance. Our February field trip on the 22nd will be to Northcott Mouth and Bude led by Steph. A field trip sheet will follow in due course. Our next Platform meeting will be at 2pm as usual on Thursday 15th February. Finally, I have had no volunteers to organise this week's reduced field trip bearing in mind most of you regulars are off to see David Chapman. If you want to arrange something let me know and I will email the rest of the group. I look forward to seeing you all at the next Platform meeting and future field trips. Wishing you a happy and Prosperous New Year with plenty of photography opportunities which I will do my best to assist with. Thanks to everyone who helped with last year's field trips and the exhibition. By all accounts the exhibition was very well received and a great showcase for your work. All in all it was a very successful year with some good field trips and 2 of you gaining LRPS and another ARPS. Keep up the good work. Our next meeting is Thursday 18th January at The Platform at 2pm. We can look at your Christmas photos, discuss the exhibition, future events etc. The next general field trip is on Thursday 25th January but this is the same day as the David Chapman Helston trip (fully booked). As such there may only be a small number of you for an alternative field trip. I have arranged nothing yet so please let me know if such a limited trip is of interest and if you have any ideas for it. The are plenty of events booked for the coming year, both open trips and special limited number trips. All of the special trips are now fully booked but I will be arranging more. On the subject of the special days, the system for booking and registering is now working very well I feel so hopefully everyone is happy with the current arrangement. One point I would like to reinforce is that once you have booked a special trip and your name is on the bookings list on the website you are, for want of a better word, contracted to pay for the trip. If you cannot go then it is up to you to pay for your slot and find someone else to take your place and reimburse you. This has been set out before but I thought now a good time to remind everyone. The current list of field trips booked so far for 2018 is attached. As I have said before there is flexibility on the general field trip dates so I am open to any ideas you may have. I look forward to seeing you at the next Platform meeting and thank you for making the group the success it is.